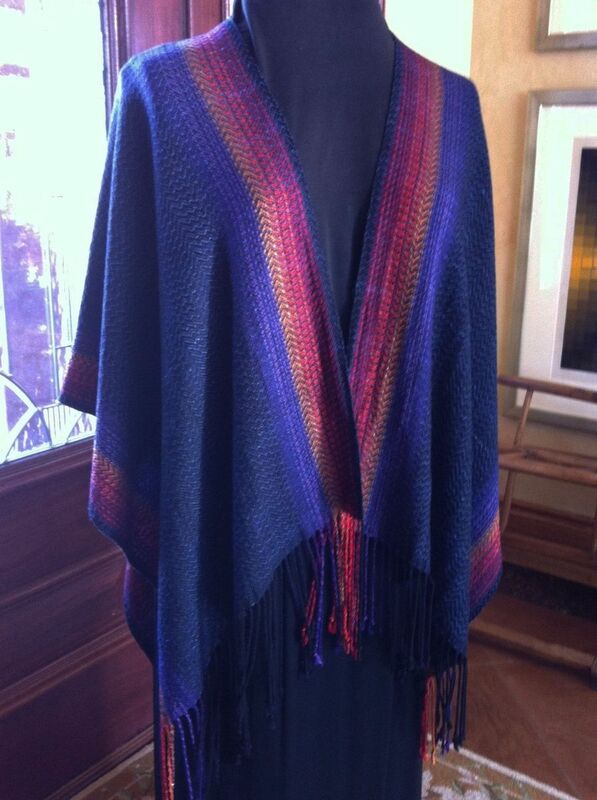 Handwoven Ruana in 100% hand dyed silk for the weft and 100% tencel for the warp. This is a beautiful accessory piece that can be worn over little black dress or blue jeans. Dress it up, or dress it down, it will take you anywhere in style. Fringes are either wrapped, or beaded; all hems are Italian hemstitched prior to fringe finishing. Care is simple - handwash, hang to dry and iron lightly if needed. Sizing to be determined by purchaser.